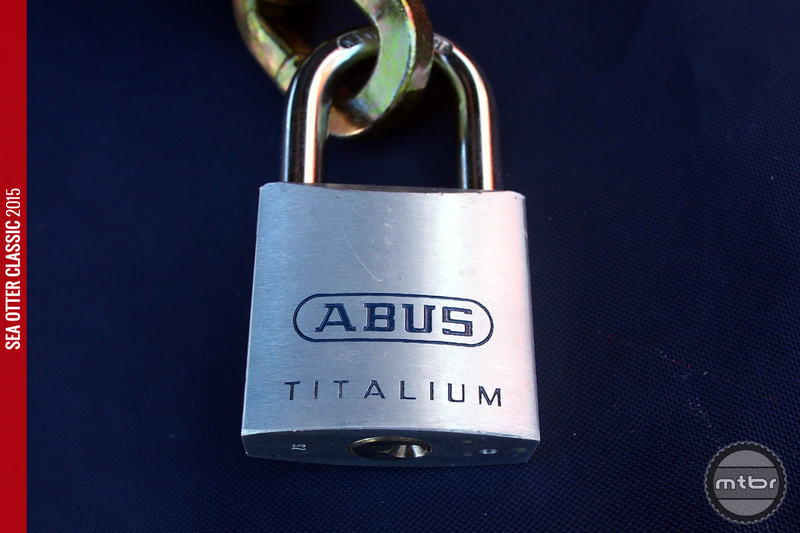 A new high security covered chain with cool, keyed padlock for your bike’s safety, from German manufacturer ABUS. 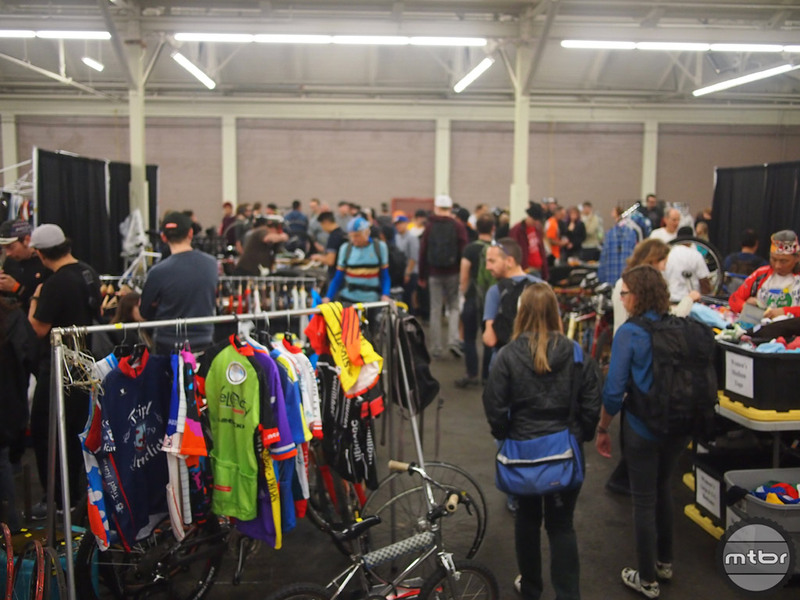 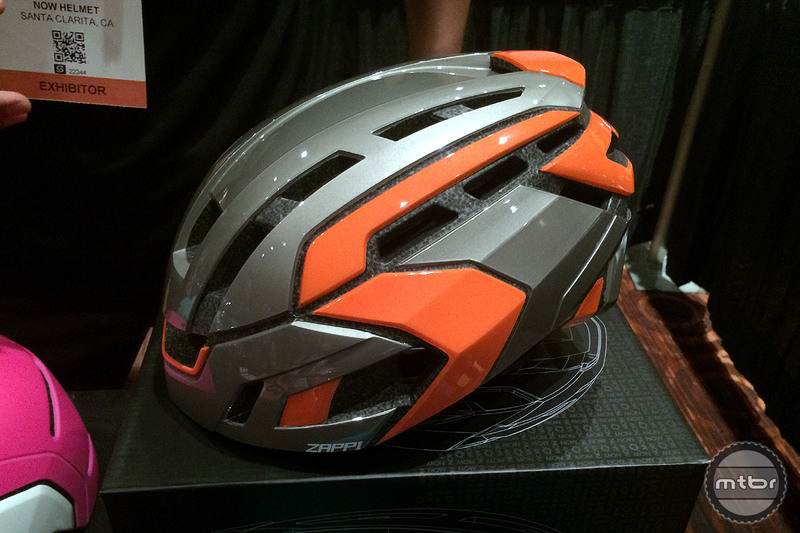 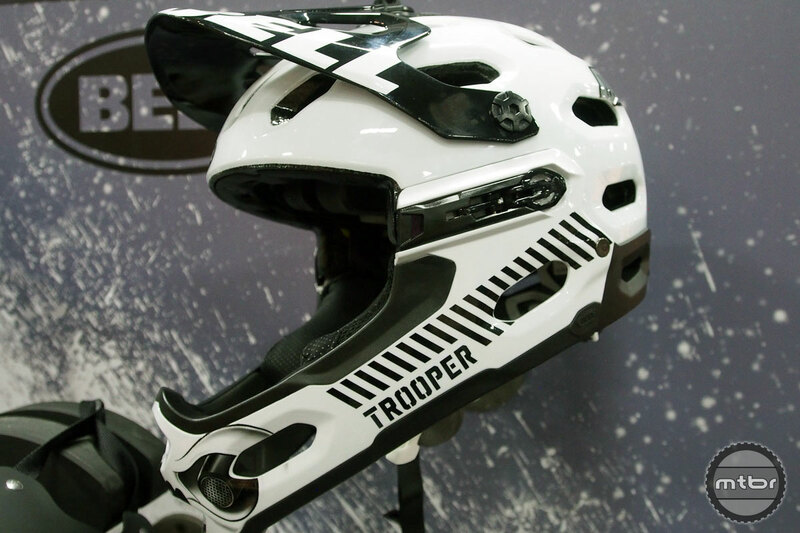 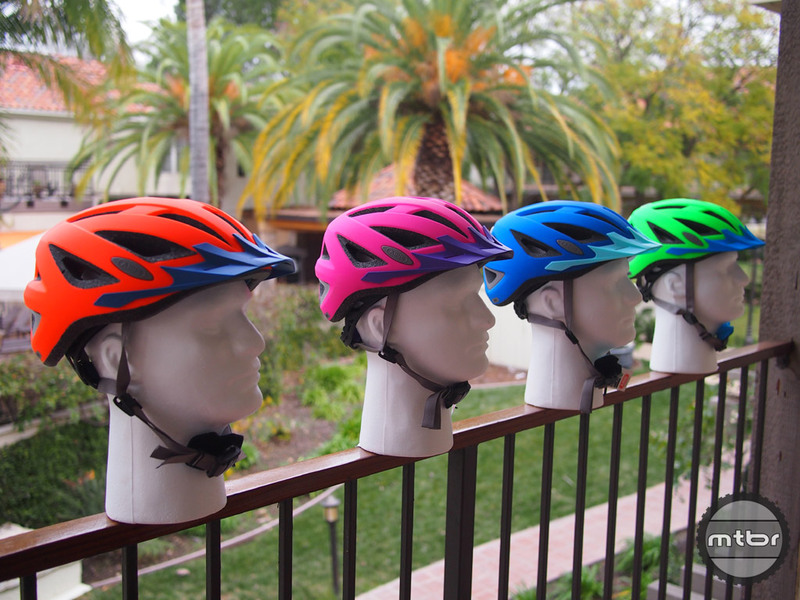 ABUS expands beyond locks and is bringing in their line of bicycle helmets to the US for the first time. 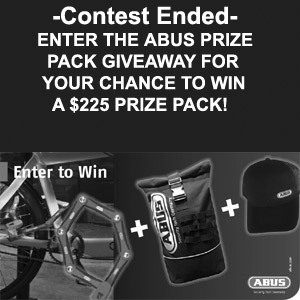 Enter to Win ABUS prize package including a BORDO Granit X-Plus 6500 folding lock, MKII water resistant messenger bag and podium hat! 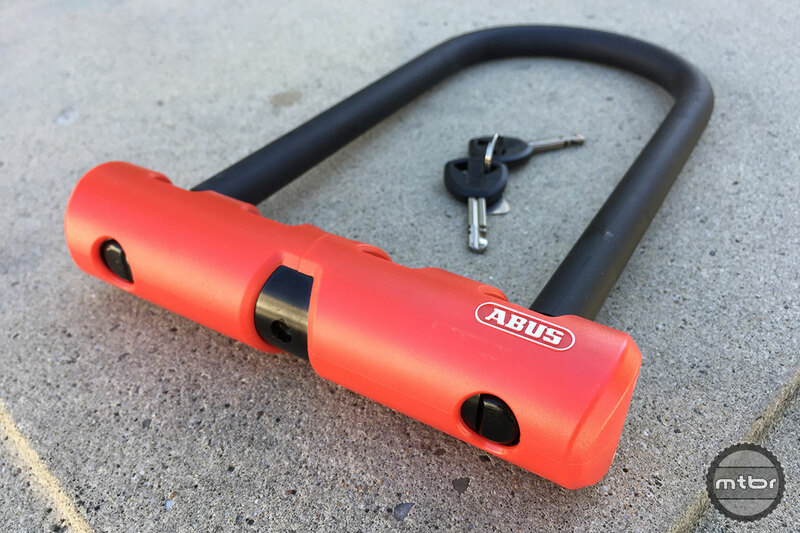 We put a half-dozen ABUS locks to the test over the last several months–all passed with flying colors. 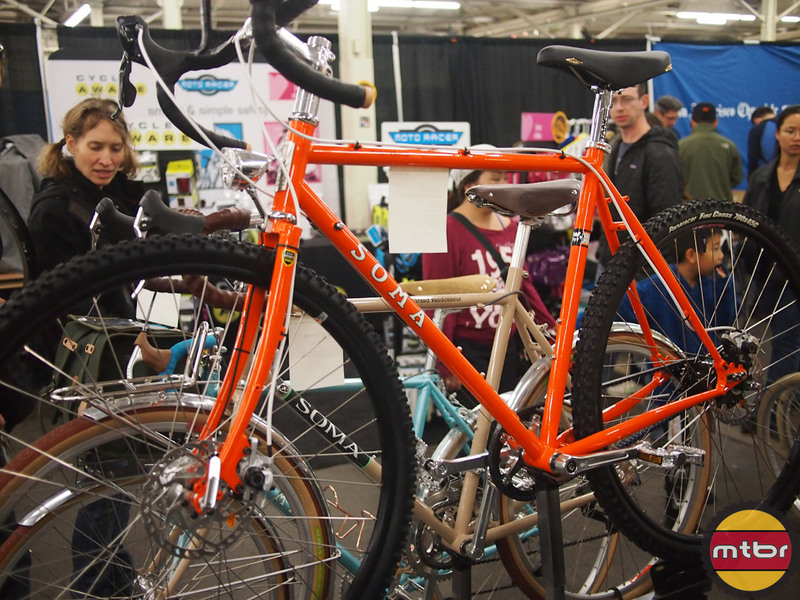 See which one is right for you. 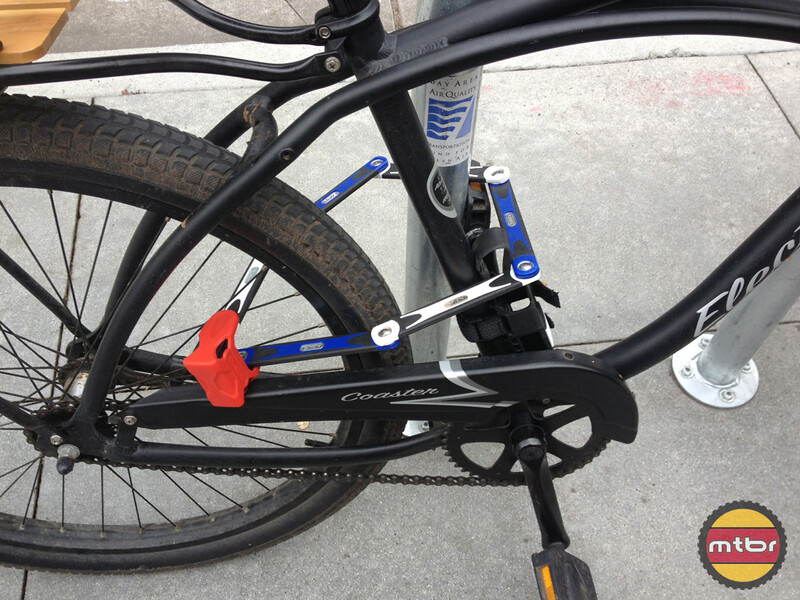 Abus rep Collin Myers shows us the versatile Multiloop 210 cable lock and the Bordo 6000, a compact folding bike lock. 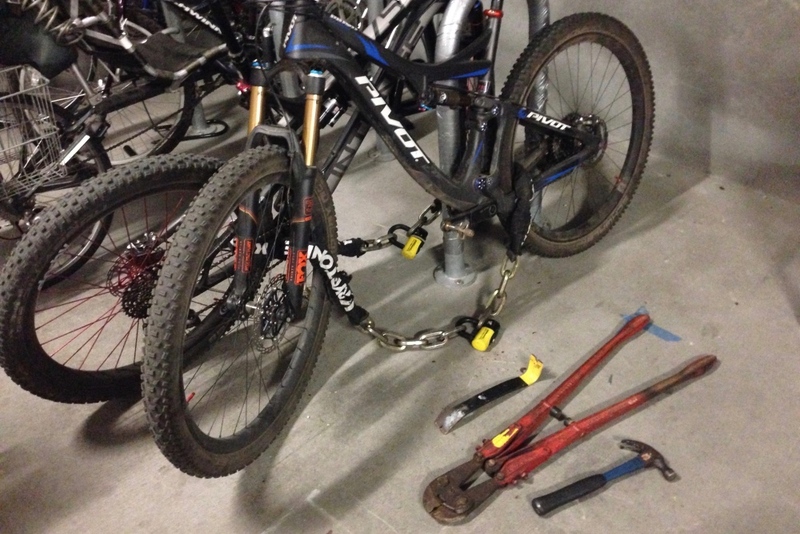 The Bordo 6000 looks nothing like the traditional U-locks, cable locks and chains we’re used to. 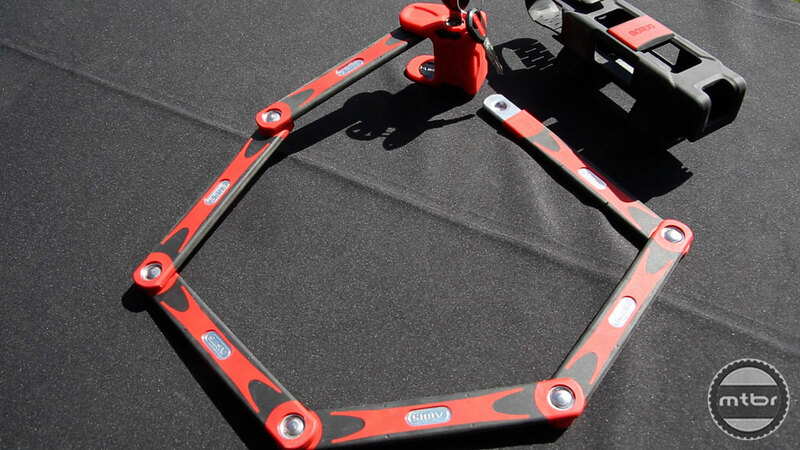 It actually resembles a folding carpenter’s ruler, and functions in a similar manner.